It’s the first book I ever listened to with a transgender person in it. This story is about a woman who was born in a man’s body and decided to fix it. The obstacles of trying to gain acceptance from others, especially family, and one of the most important people, her mom. I have so many thoughts about this book but one in particular that comes to mind is life changing. No matter how you identify in your life this book is very relatable .This story needs to be seen ,from anyone in the Trans community and parents of Trans people to avrage people that have no clue what goes on in a Trans persons life . I quickly fell in love with the wonderful characters and the amazing mixture of hilarious , charming and sweet stories that this book provides. A+++ to both the author and the narrator. Sometimes things get mixed up. Would you listen to 180 Days again? Why? Yes I would listen again. Why? This is a good read. It is about changes and I would listen again to catch some of the changes that I might have missed. This book is informative about Transgender people and how much they are like anyone else. After the changes are made they go thru so much psycologically. People need to pay more attention to how they are really just people. All the scenes with Cal are wonderful. What a wonderful person he is. The should be more Cal's in this world. I'm happy that this book wound up being my first romance with a transgender lead character in it. Through reading it, I was able to diversify my reading even more. And it's not just a box for me to check off. It was a way to expand my understanding and knowledge of the real world where such a variety of people live. Along with that, I was able to discover a series that might make it on my favorites list as I read more of the Prairie Town books. There was so much in this book that I loved. I could go on and on about the characters and the depth the author gave to them. Ridener was even able to make me enjoy a book with more than two POVs. And I think that was a major plus for helping the book work. As a reader I was able to see into the minds of a variety of characters, and not just the two romantic leads. And this book was more than just a romance, though it was in there and worth the read for it alone. It's a coming of age story. It's a novel about family and acceptance within a family, a community, and within oneself. 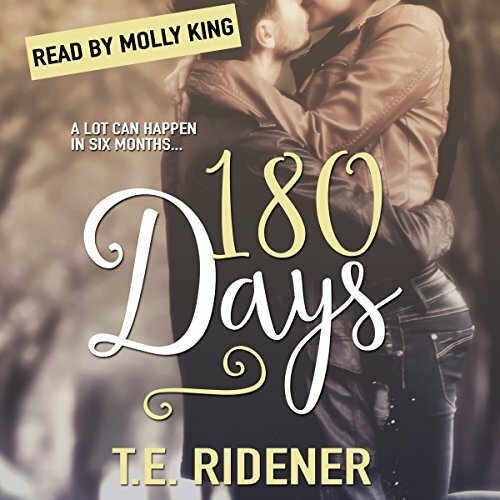 There are many different levels in 180 Days and I'd rather not pick the book apart. I think it's better to just know that this book was a great read and worth giving a chance! It also has me eyeing the rest of the books in the series already, and I've only just finished it this morning. I can't wait to visit Prairie Town again soon.